This year I am very psyched that I will have the chance to participate in the Building the Hybrid PMO Workshop series with Mark Price Perry and Andy Jordan. There is no surer way to invite PMO difficulties than to rush into a cookie-cutter “people, process, tools” strategy and to “sell the PMO”--an approach still advocated by many today. This workshop first engages participants in a highly interactive session that reveals and corrects common misguided PMO strategies, while highlighting select opportunities to make your approach more Agile. Perry will also present a bouquet of real-life PMO success stories based upon his third book in the Business Driven PMO series, Business Driven PMO Success Stories (2013), which attendees will receive as part of participating in this workshop. Organizations only succeed when they have effective strategy execution, and PMOs can, and should, play a vital role in achieving that. End to end portfolio management, combined with organization wide strategic risk management offer a dynamic one-two punch that can deliver significant business improvements. Andy Jordan uses his signature high energy and engaging style to bring participants along the journey to a PMO that is the cornerstone of strategy execution. Attendees will also receive a copy of Andy’s book Risk Management for Project Driven Organizations to help them implement the approaches discussed in the workshop. Harmonizing Project Management and Agile – Viva la Revolution! It is difficult to find an organization today that isn’t “trying” to go Agile. Whether you are the only PM in your company or you are leading a PMO with global reach, the change is never easy. If you’ve been trained to work using traditional PM tools and practices, Agile transition can be especially daunting. This session will explore the impact that Agile can have on a PMO and the PMs working in a traditional organization. We’ll review some of the common myths that create friction between Agile and traditional approaches, explore ways you can take steps to better enable your organization to succeed, and get experience working with tools you can take back to use with your PMs and your PMO. Viva la Revolution! Open Space Meetings are an amazingly powerful way to explore issues, discuss ideas, and achieve breakthrough thinking. Open Space Meetings are particularly useful for fully engaging all those who are truly passionate about and committed to a subject and, arguably, there is no greater shared bond that PMO practitioners have than their collective passion and commitment to the value proposition of a well-conceived, established, and run PMO. This workshop session utilizes the Open Space Meeting approach to tackle the top PMO-related issues, opportunities, and topics of the workshop attendees. In this episode of The Agilistocrats! we are joined by our good friend, Maria Matarelli. Our topic for the podcast was How to Convince Your Organization to Want Agile. Episode 4 of The Agilistocrats! Richard, Dhaval and Dave discuss the biggest mistakes they each made when starting out as a Scrum Masters and what they learned from those mistakes. 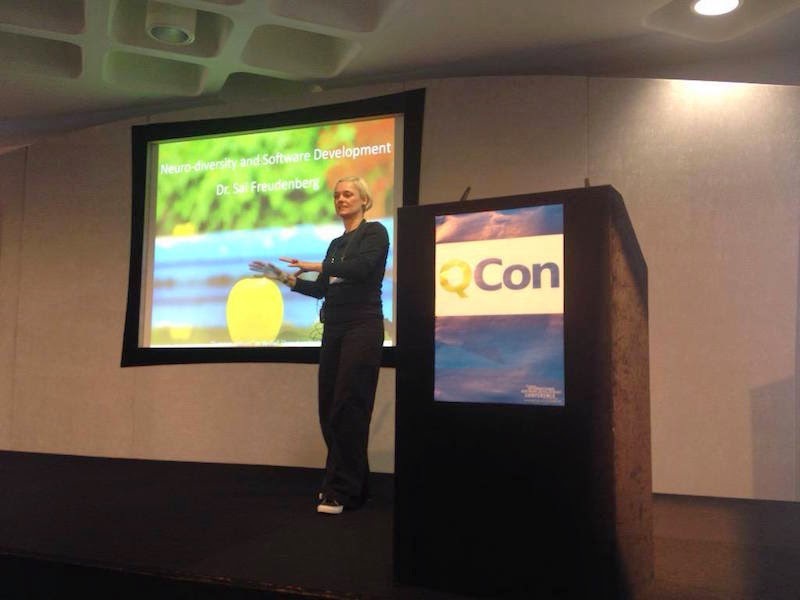 A few weeks ago at InfoQ’s Qcon in London, Dr. Sallyanne Freudenberg gave a presentation on Neuro-diversity and Agile. I had the chance to interview Sal about her presentation, her experiences and her ideas on how to cope with some of the challenges knowledge workers face in work environments that strive for team-based work and high levels of collaboration. During the interview she talks about some of the techniques used by developers when working with complex problems, and how the things she learned studying autism has impacted the work that she does coaching Agile teams. You can find the ProjectsatWork podcast interview here. If you’d like to learn more about Sallyanne you can find here on twitter or you can check out her blog, Agile in the Wild. And if you’d like to watch her presentation from Qcon, it is available on the InfoQ site and they’ve also posted an article that highlights some of the key takeaways from her presentation. How Do I Become A Really Good Scrum Master? 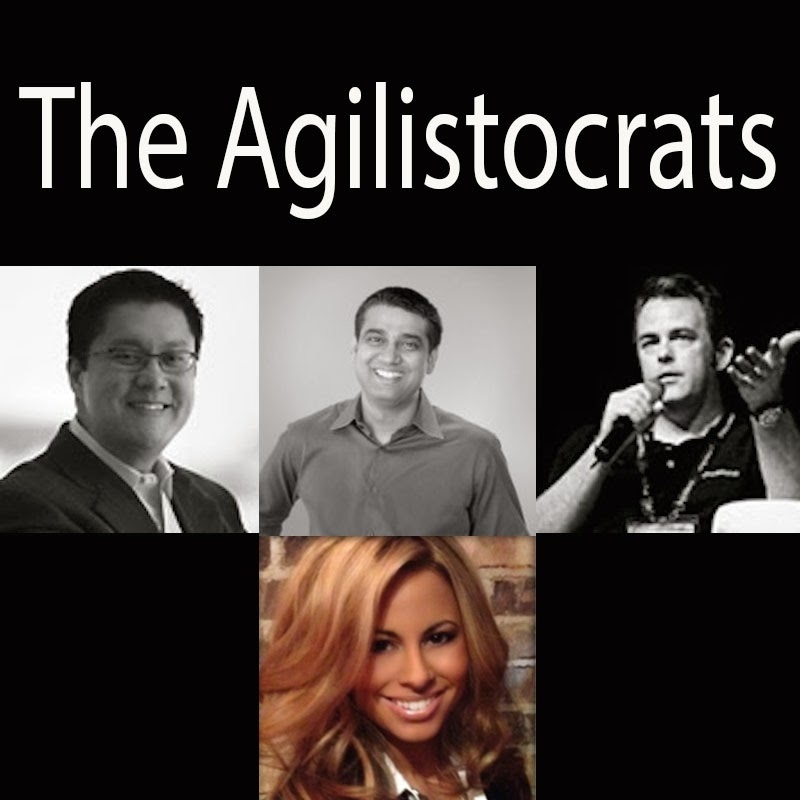 In Episode 3 of The Agilistocrats, Dhaval Panchal, Richard Cheng and Dave Prior discuss how you can go from being a good Scrum Master to a great Scrum Master. Scaling Scrum is an ongoing hot topic in the Agile space. For a while the most common answer to the question was scrum of scrums. It's a sensible approach, and it works... up to a point, and then... maybe not so much. Over the past few years new options have emerged. Scaled Agile Framework (SAFe) has gained a lot of attention over the past few years (as well as heated debates), but it is not the only option available. Since 2005 Bas Vodde (of Odd-e) and Craig Larman have been working on applying apply Agile and Scrum to very large and multisite product development. The result of this collaboration is Large Scale Scrum (LeSS), a framework that is designed to allow you to take the practices of “One-Team Scrum” and scale it up. One of the great things about this approach is that if you are already working with Scrum at the team level, a lot of the work practices are maintained, so you may encounter less dissonance than you’d experience from introducing an array of new practices and workflows. The idea is to allow room for coordinating more complex efforts while still keeping things as simple as possible. LeSS offers two different approaches for scaling up with Scrum. If you are working with up to eight teams of not more than eight people per team, you would use LeSS. But if you need something larger, LeSS Huge has been used with efforts that involve as many as 2,500 people, all working on a single product. To date, LeSS has been used by product companies, project based companies and by companies that want to develop products internally. If you are curious about LeSS, you can check out my podcast interview with Bas Vodde. And if you want to know more about how it has been applied by organizations like Alcatel Lucent, Bank of America, Nokia, JP Morgan Chase, and others, the LeSS.works website has a number of case studies available here.